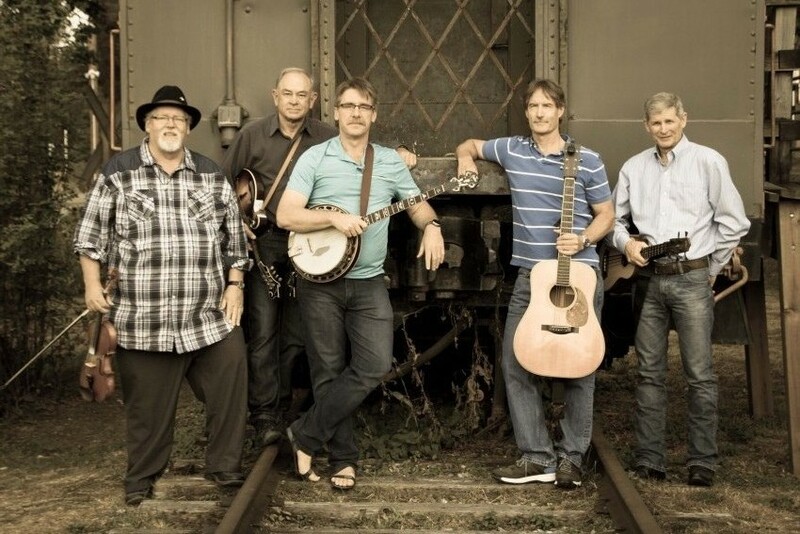 Rusty Rails is a group of Canadian singers/string players from two very popular bands, “Alouette River” and the “Bullfrogs” that have entertained at festivals, concerts, charitable events and celebrations across B.C. Performing an eclectic mix of bluegrass, swing, Cajun, traditional roots, Celtic and gospel music, they combine traditional instrumentation and powerful vocals to “bring it all home”. The five-member band features Len Hatlelid on guitar, dobro and vocals; Randy Moore on mandolin, guitar and vocals; Sheldon Friesen on banjo, ukulele and vocals; Denis Leclerc on fiddle, low whistle, harmonica and vocals; and Leo Kilroe on bass, guitar and vocals.